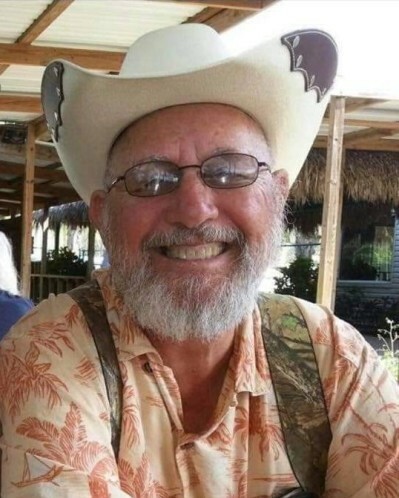 Harold E. Mortimore was born January 8, 1943 and passed away February 9, 2019 at Harlingen Medical Center in Harlingen at the age of 76. He served his country with U.S. National Guard in Ohio. Mort worked for Whirlpool Corp in Marion, OH and retired in January of 2004. He was a member of American Legion #0888 in Ohio, the Eagles in Indian Lake, OH, Moose Lodge #1533 in Indian Lake, OH, and Elks Lodge #1889 in Harlingen, TX. Mort enjoyed playing golf with all his friends in Ohio and in Texas. Gene, Mort’s, wishes are that everyone know that life is good. Be good to your family and friends. Do something special for someone!! He was preceded in death by his parents Harold and Thelma Mortimore and sister Jackie Stevens. Mort is survived by his wife Joyce Jennings Mortimore; brother Arthur Mortimore of Bellefonaine, OH; sister Gwen Burton of Irmo, SC; children Anthony M. Mortimore, Anna (Pat) Hogan, Wyatt E. Quay, Lorne M. Quay; grandchildren Michelle Massey, Brian Hogan, Nichole Hogan Overly, Kasi Quay, Shane Quay, Taylor Quay, and Alexander Mortimore; great grandchildren Dalton P. Massey, Isaiah Overly, Ryan Overly, Alexis Hogan, Devyn Hogan; and many nieces and nephews. The family invites you to join them for a memorial service celebrating Mort’s life on February 20th at 10:00 a.m. at Paradise RV Park in the Rec Hall, Harlingen and in May at the Moose Lodge #1533 in Indian Lake, OH with date and time to be announced later. Mort and Joyce were blessed to celebrate 37 years of marriage. He will be missed!! !